So you want to create a smart home, but you don’t own your house. Cobbling together a smart home isn’t difficult, but for renters, smart tech adoption carries its own set of challenges. Apartment dwellers are slightly hampered by installation techniques. If you want that deposit back, you won’t want to damage the existing space. But don’t let renting prevent you from creating the smart apartment of your dreams. Learn about the best smart home devices for apartments! As a general rule, renters should treat their abodes like camping, and leave no trace. Tiny scuffs, small nail holes, and minor imperfections from daily activity should be fine. However, you probably can’t run cabling and wires through walls or under the floor. As such, cable management can be a bit of a challenge. When possible, it’s best to opt for wireless smart home protocols. Many of the best smart home gadgets for apartment life will tout wireless connectivity. Similarly, smart home tech for renters should be simple to install and take down. That way, when you move out you can easily take your smart home devices along rather than leaving them for the next tenant. 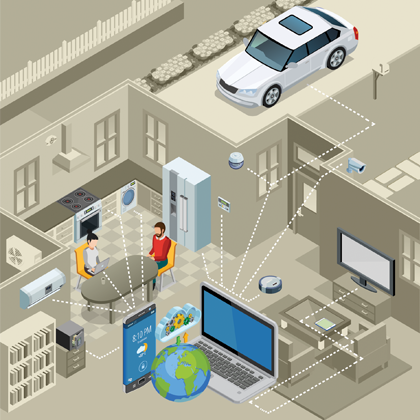 At the center of every smart home, or smart rental unit, is a smart home hub. Thankfully, these are wireless, and communicate with devices on the same network sans wired connectivity. Instead, these serve as the lifeblood for a network of devices. Individual gadgets “talk” to one another as well as the hub itself. Usually, smart home hubs feature Z-Wave, Zigbee, Bluetooth, Wi-Fi, or a combination of these protocols. The hub dictates what and where data is sent, thereby allowing for smart home control and automation. Because a smart home hub merely requires a power source and internet connectivity, it’s one of the best smart home gadgets for apartment life. My Samsung SmartThings Link for the Nvidia Shield TV simply plugs into my Shield TV Android TV set-top box and doesn’t require an external power source. A hub maintains a mostly wire-free installation, and it’s integral to a smart apartment configuration. Once I snagged a SmartThings hub, my first step was upgrading all of my lights to smart bulbs. It’s an excellent smart apartment idea since smart bulbs merely screw into existing light sockets. As such, there’s no retrofit required. Plus, smart lightbulbs allow for dimming without installing an in-wall dimmer. You can even save a bit of money by lowering the brightness of your lights and configuring automations to turn off lights when not in use. 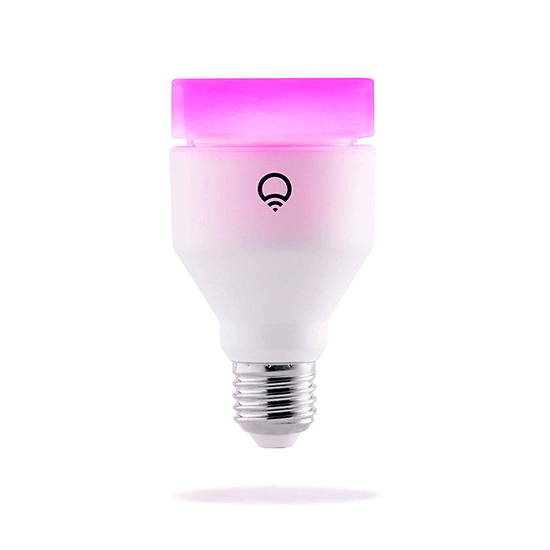 Furthermore, color-changing smart bulbs make beautifying any space a breeze. While you can purchase dedicated smart home gadgets, smart switches provide an accessible solution for transforming “dumb” devices to smart tech. 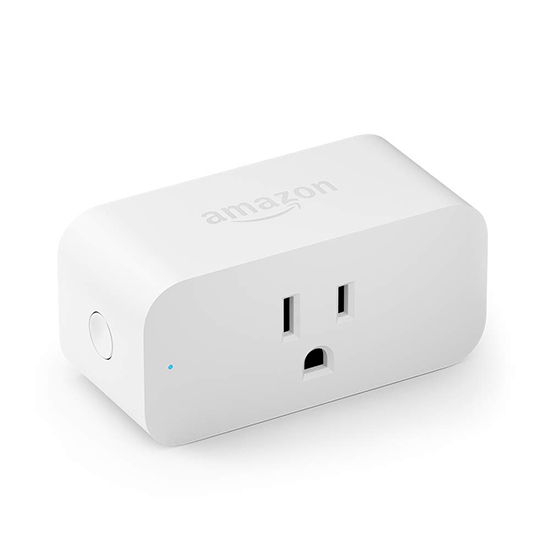 Merely plug these into a wall socket, then plug an appliance such as a coffee maker or lamp into your smart switch and you can turn that device on and off with a companion app or voice control. 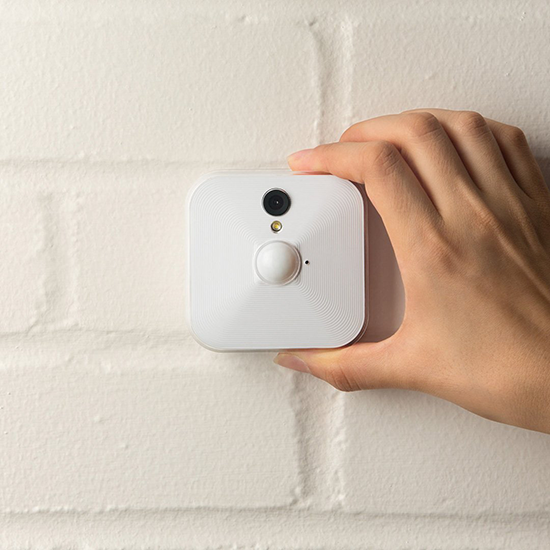 Since smart switches don’t even require additional wiring, they’re among the top smart home devices for renters. Moreover, smart switches are a cost-effective means of utilizing smart home control with older, non-internet connected gadgets. 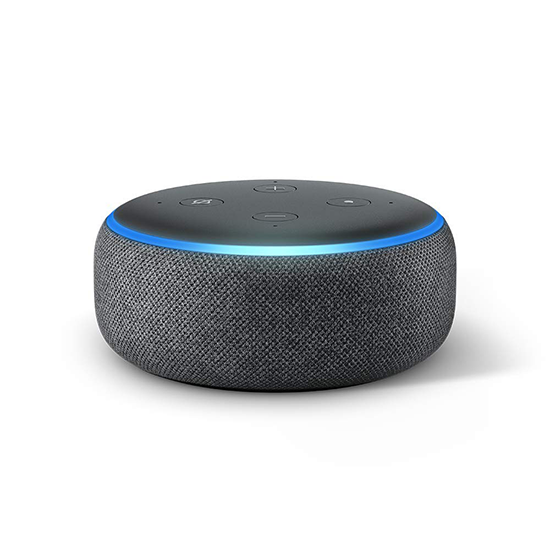 An inexpensive addition to a smart apartment is a smart speaker, or virtual assistant. Whether you select Amazon’s Alexa, Google Assistant, Apple’s Siri, or a do-it-yourself (DIY) smart assistant with the likes of Mycroft, there’s a ton of choice. Simply issue voice commands to query for information such as the weather, fire up skills to control home theatre PC (HTPC) apps like Spotify and Plex, or smart home control. Amazon Echo devices are superb, as are Google Home speakers, and the Apple HomePod. Alternatively, the Sonos One connects with AirPlay 2, Google Home, and Alexa. JBL boasts a few smart portable speakers, and the UE Blast and Megablast are solid picks as well. Among the greatest smart home devices for renters, you’ll find a smart thermostat. Typically installing a smart thermostat merely requires connecting existing wiring to your new thermostat. 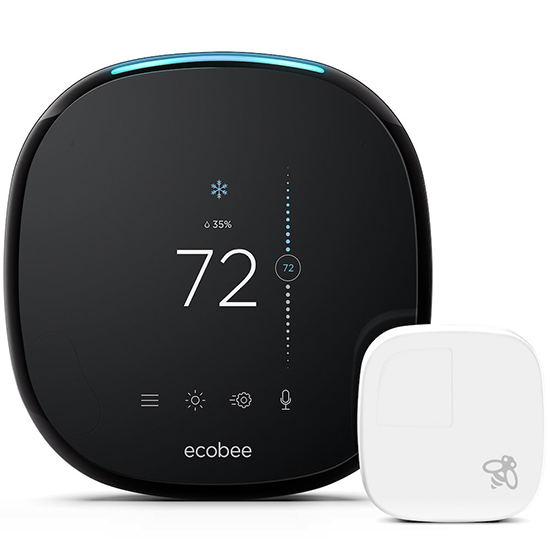 The best smart home thermostats include options from the likes of Ecobee, Honeywell, and Nest. Depending on how you install a smart thermostat, it should be an easy wire hook up. Again, this really opens up the possibilities for smart home automation and control. Particularly for apartment life, a smart home security system is a must. 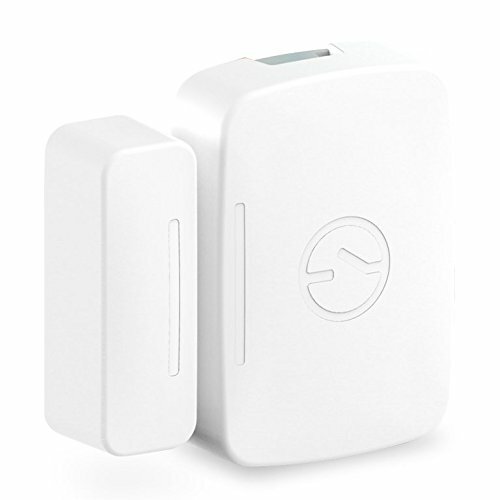 This way, you can monitor your home while you’re away, and receive notifications of alarms. I’ve got a Blink wireless home security system consisting of a camera array and hub. The hub connects either via Wi-Fi or Ethernet, and each camera is wireless. Consider command strips rather than nails or screws for affixing cameras to walls and ceilings, or place them on top of furniture. A bevy of sensor types provide ample smart home control opportunities, and with little to no installation, these are the ideal smart apartment solutions. For instance, you can add temperature sensors, moisture sensors, intrusion detection devices, and more to your smart home network. Then, take advantage of various automations and view alerts. Overall, cobbling together a smart apartment with smart home devices for renters isn’t difficult. Generally, seek out technology which doesn’t require an intrusive installation, and find alternatives for running cables and wiring through walls or under floors. Instead, run them along the baseboards or under carpets. But with wireless connectivity, many of the top smart apartment devices come equipped to communicate sans wires. Likewise, consider what teardown will look like. Not only will you want to avoid damaging your apartment, you’ll want to bring your smart home devices along. Thus, adopt gadgets which are conducive to quick installation and removal. As magnificent as smart homes may be, they’re not perfect. But despite the challenges, creating a smart home, or apartment, is totally worth it.